The core strategy behind any supreme organization, any company who truly dwarfs their competition and creates massive client loyalty, is to anticipate and meet your clients’ needs in a way that no one else is. Others are making a product or providing a service. They are the commodities. You are unique; you have differentiated your business by helping your clients solve a specific problem in a bold way. This is the key to making sure no one else in your industry even comes close. This is the bedrock principle behind Force #7, Constantly Create Raving Fan Clients and Culture. It’s not just about being different, it’s about providing so much value that your clients can’t help but tell others about it—with genuine enthusiasm and excitement. Here are four keys to enlisting your clients in telling your story—and ensuring that your pipeline is always full of qualified prospects. You will always need to promote your product or service, but as you convert your prospects into clients, give more value than they expect. Surprise and delight them with added value, and they will reciprocate in kind, sharing stories of your terrific service with their friends and contacts—who are then primed to become your next client. Meeting minimum requirements is one way to run a business, and it’s a sure route to failure. You and everyone on your team must be committed to doing whatever it takes to make sure you have raving fan clients. You’ve heard the legendary stories about how companies like Zappos take care of their clients. You must empower your staff to take the initiative and make the on-the-spot decisions that inspire lifetime loyalty. You have to create a structure and a system that allows everyone in your organization to consistently meet your clients’ needs. Remember, the most expensive thing you can do as a business is to acquire a new client. For most businesses, this takes up most of your time, energy and money, and is one of the hardest things you do. Therefore, the easiest way to make additional money is to continually and better serve the clients you have. Use your client data to identify those who come back more often, spend more and refer others, and let them know how special they are. Exceptional discounts, special offers and first-priority status are ways to ensure that you don’t lose them to an upstart competitor. Also, your best clients deserve your best offers and personalized communication. Innovation is essential today. Your business must continue to evolve to effectively meet your clients’ needs in unique and powerful ways, or you face the certainty that someone else will rise to that challenge. So how will you evolve? Ask your clients. What is the biggest challenge they are facing? Why is it important that they find a solution? And then figure out how to help them, in ways that they can’t help but rave about to others. 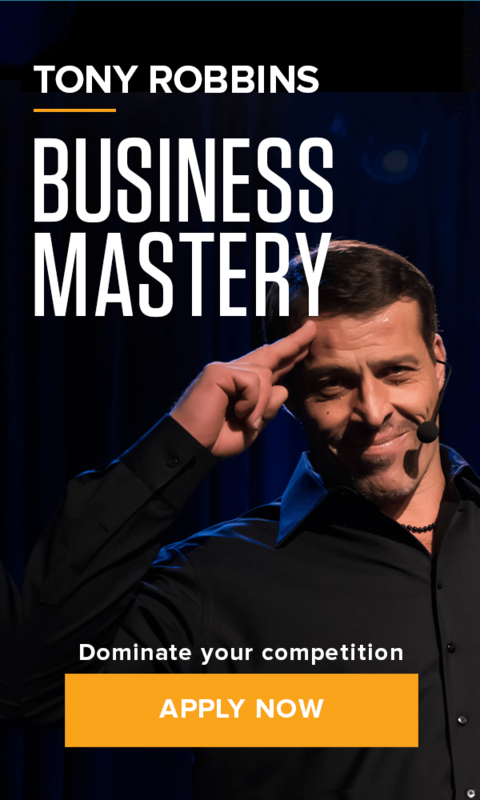 At Business Mastery you will learn the organizing principles and strategies for creating raving fans both within your company and within your clientele. If you have not yet applied, space is running out, so apply today!